Established in 1963, The Country Club of North Carolina is a member ­owned club with over 400 Luxury Homes. 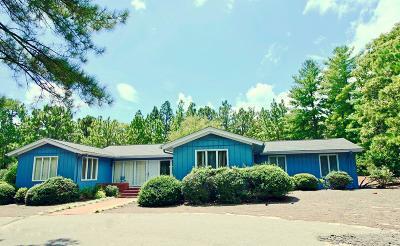 This private gated community is situated on 2,000+ acres of long leaf pines that includes three picturesque recreational lakes and 2/18 ­hole championship caliber golf courses. All Country Club of North Carolina listings are updated on this site twice per day and there is no registration. If you have questions or for an area tour please call (910) 528-4652 or email me at gopinehurst@gmail.com. We're here to save you time and money on Pinehurst Real Estate.